Chocolate Cupcakes with Ferrero Rocher is a dream come true. Indulge in one of these amazing cupcake..
Cake Flavour- ChocolateType of Cake- CreamWeight- 1 KgShape- RoundCandles & Knife Included..
Is it a cookiecake? Is it a cupcookie? We’re undecided, but either way, it’s 100% irresistible. Pour.. 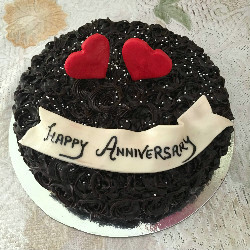 Delicious 1/2 Kg Chocolate Brownie Cake cake by GiftMyEmotions is a best gift for chocolate lovers. ..